It’s no secret that Millennials are disinterested in politics. Their turnout in the 2014 elections was dismal at best, and a recent Harvard poll revealed that only 35 percent of 18-29 year olds believe that running for elected office is an honorable thing to do. Yet, Millennials still believe strongly in civic engagement. As noted in an earlier IVN article, they are more likely to volunteer and view volunteering as more important than their parents. Whether or not that stems from moral obligations or the competitive nature of college admissions and a difficult job market is unclear. As the first generation of digital natives, Millennials have more access to media than any other generation, with the exception of Generation Z; yet, a study by the American Psychological Association found that they were less likely to say they were interested in current events or conscious of social problems than past generations. The study also indicates that Millennials are less likely to be interested in politics or government, to contact public officials, or to work for political campaigns than past generations. These figures illuminate the dreary reality that Millennials have little faith in government, are jaded by the political status quo, and view their vote as powerless to change a gridlocked and unrepresentative political system. Millennials have little faith in government ... and view their vote as powerless. Millennials feel abandoned by public officials, especially President Obama after he promised the very change young voters were looking for in the 2008 presidential election. Many within Generation Y graduated college during the economic recession, are saddled with student loan debt, and are having difficulty obtaining full-time employment in their desired field. Their generally disinterested stance can seem validated by their situation, but as Millennials reach the age threshold to run for political office, their apathy poses a huge risk to their ability to play an active role in politics, and maybe create the change they desire. The oldest members of the Millennial generation have finally crossed that threshold, meaning Generation Y will soon see their own representation in state and federal legislative bodies. This is a generation that needs leaders — leaders who can re-engage them and keep them interested in politics and current events. Luckily, there are Millennials doing exactly that: running for office, offering positive change, and working to create a friendlier political landscape for their generation. Below are just a few. 30-year-old Cincinnati City Council Member P.G. Sittenfeld has worked tirelessly to combat poverty, improve education, and help the middle class in his beloved hometown. He was listed as a pro-growth progressive leader by The NewDEAL, a network of rising state and local elected leaders — rightfully named after President Roosevelt’s progressive economic package — who focus on policies that lead to progressive economic growth. 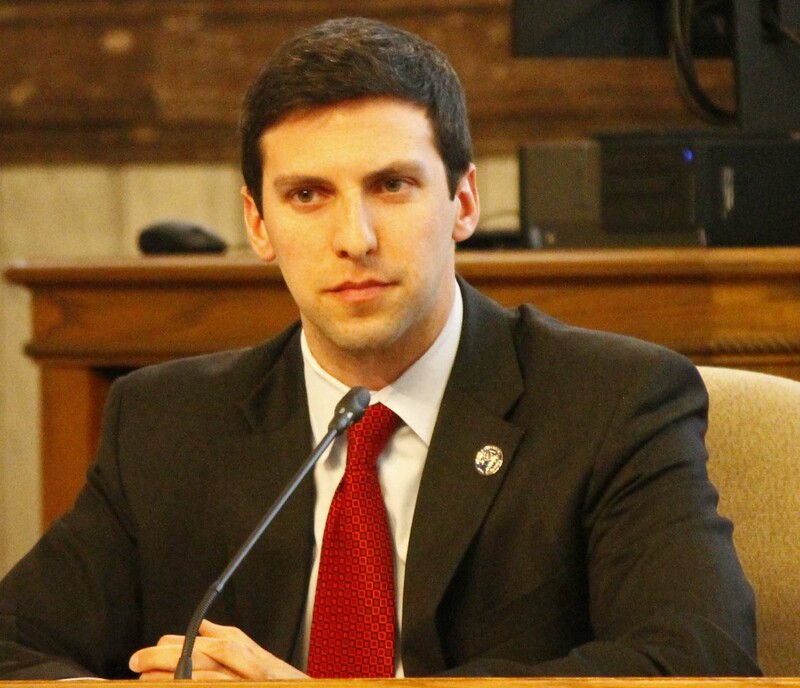 Sittenfeld has greatly emphasized the need for Millennials to re-engage with politics, and truly believes that they have the power to transform politics should they choose to run for elected office. He recently announced his bid for the U.S. Senate in 2016, despite barely qualifying for the minimum age requirement (minimum age for a U.S. senator is 30). The former White House staffer and Harvard graduate was elected to represent the 1st State Senate district of Massachusetts in 2014 and, despite only entering office in January, has already sponsored 5 bills, including a proposal to build a high-speed rail line from Springfield to Boston. During his campaign, Lesser received a ringing endorsement from U.S. Senator Elizabeth Warren, who many view as the face of the progressive movement in America today. The New York Times dubbed him “the face of the Obama political generation” in 2014, and cited him as an inspiration for Millennials since his initial involvement with the Obama campaign in 2008. It’s hard to ignore New York City when thinking of progressive leadership. Ritchie Torres, the New York City Council’s youngest representative, at age 26, and the first openly-gay elected official to serve the Bronx, is no exception to the city council’s historic role as an incubator for progressive policy. Elected to the council in 2013, Torres is a firm advocate for public housing reform, having grown up in one of the notoriously indigent New York City Housing Authority (NYCHA) public housing projects, and has done wonders for the Bronx — especially for the low-income constituents of his district. Torres was able to secure $100 million in federal funds to repair water boilers damaged by Superstorm Sandy shortly after entering office, and was a firm advocate against the infamous stop and frisk policies of the Bloomberg administration (that ended last year under Mayor Bill de Blasio). He opened the first center for LGBT seniors in the Bronx, and recently called for the installation of $520 million worth of intercoms in NYCHA developments, where roughly 20 percent of the city’s violent crime occurs. Torres will surely seek council leadership in the coming years, and it would not be surprising to see him run for national office before he reaches 40. Torres, Lesser, and Sittenfeld are just three of the many Millennials working tirelessly to re-unite their peers with the world of politics and current affairs. However, if current trends persist — if Millennials refuse to engage with politics, and instead continue entering the consulting, technology, and marketing industries in droves — they may be skipped over when it comes time to take their place on the political mantel. Millennials are the most liberal generation of all time, and could very well create the change they hope to see — whether in regards to environmental policy, campaign finance, or social justice reform — but not if they continue waving a white flag instead of voting and fulfilling their civic duties. Who are some Millennial leaders emerging in your area? Should Millennials Form Their Own Party?